Pictured are advisory board members, front row from left, Beth Ann Swallows, Motlow Sparta Site coordinator; Melody Edmonds, Motlow interim vice president for academic affairs; Jody Sliger, community development director, Tennessee Department of Economic and Community Development; Cain Rogers, First National Bank and White County commissioner; and Tara Ray, attorney. Back row from left, Kurt Dronebarger, White County director of schools; Jim Payne, Motlow College Foundation trustee and Sparta Housing Authority executive director; Dr. Michael Torrence, Motlow president; Robert Officer, guidance counselor, Sparta alderman and Motlow adjunct instructor; Gary Morgan, Motlow Foundation chairman; Mark Farley, Upper Cumberland Development District executive director; and Paul Sherrell, District 43 state representative. Not pictured, Terri Douglas, White County School District academic/career coach. Sparta and White County elected officials, Motlow State Community College leaders, and civic authorities recently met for an informational breakfast session to reaffirm the community’s commitment to post-secondary education and to chart a course that will expand those opportunities in White County through partnership with Motlow. · Assist in exploring the changing needs of the community and support the College for educational opportunities that will assist in high-paying jobs and growth for White County. The teaching site, located on the White County High School campus, opened in the fall of 2007 as a cooperative effort between the City of Sparta, White County, the White County Board of Education and Motlow. Facility funding comes from the City of Sparta, White County and the White County Board of Education. Motlow provides funding for labor, instruction, and leadership and handles daily operations. Beth Ann Swallows is the coordinator of the Sparta site and operates under the supervision of the Motlow McMinnville campus. She replaced Linda Mackie, who recently retired and had served as the site coordinator since opening in 2007. “We look forward to expanding what Motlow can do,” said Kurt Dronebarger, White County director of schools. “We have all the things in place to make this work. This is a need for White County as we move forward and see more industry coming to our area. White County is on board as a partner and player (with Motlow). Dronebarger’s comments echoed the universal commitment to Motlow from officials and the individuals that comprise the advisory board. A community’s ability to provide an educated workforce plays a very important role in its ability to attract new business and industry. Torrence went on to explain that the factories of 20 or 30 years ago are not the factories of the present. The industrial market of today is highly computerized and includes advanced manufacturing and robotic systems, which is where he plans to guide Motlow in the future. He listed technology, manufacturing, robotics, and automation as central to the jobs of today. 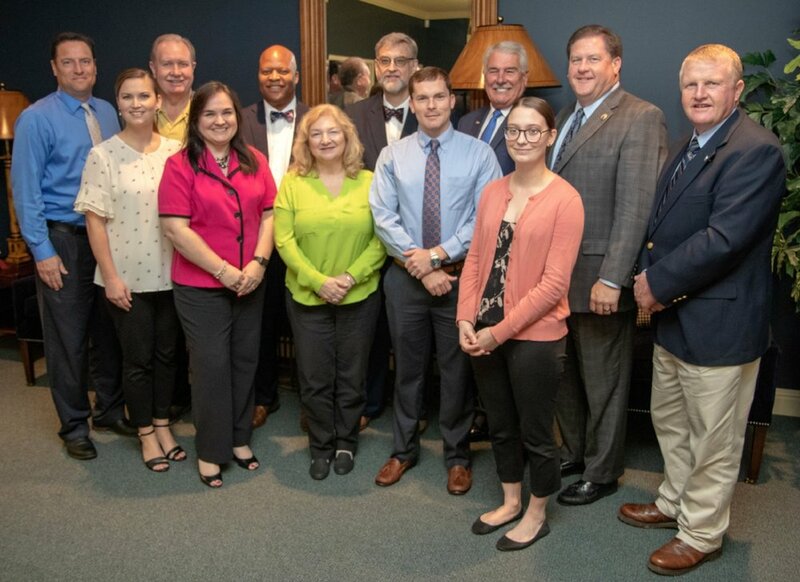 Torrence and the Motlow advisory board agreed the best way to prepare students to compete in the future is to place more emphasis on training in manufacturing. For more information about enrolling at Motlow State Community College, contact the White County campus at (931) 837-3341 or visit them at 603 Roosevelt Dr. in Sparta, or go to mscc.edu.